This year the club will be running a CÃºl Camp from Monday July 18th to Friday July 22nd. 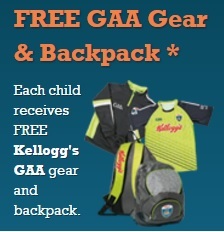 Kellogg's GAA CÃºl Camps provide boys and girls â between the ages of 5 and 11 â with an action-packed and fun-filled week of activity during the summer holidays which revolves around maximising enjoyment and sustaining participant involvement in Gaelic Games. Â· The camps are structured so that a different aspect of the game is worked on each day. Â· The programme involves coaching specific skills of the game and the opportunity for children to put into practice what they have learned through small sided games. Â· On the last day of the camp a "blitz" will be organised to provide each child with an introduction to competitive games. Parents who are interested in this camp are advised to book early by clicking on this link. Last weekend, the club ran a very successful Player Development Workshop for players from the U13, U14 and U16 teams. The aim of the workshop was to help the players improve their performance and general well-being by addressing a number of key areas. Some of the topics covered were Nutrition and Hydration, Importance of Warm up and Cool down, Speed and Agility work and Conditioned games. The workshop was given by Angie McNally who has vast experience coaching our own senior team, UCD (who won the OâConnor Cup this year for the first time in 10 years), DCU, Monaghan and the Dublin Senior ladies team. Club senior player â and four-time All-Star winner â Sinead Goldrick was present on Saturday morning and had a Q & A session with all the participants. Everybody thoroughly enjoyed the workshop and planning has already started on offering this to other teams in the club. Thanks to Angie and Sinead for making themselves available for the workshop and well done to Glyn Davis and Pat Ring for organising. Commiserations to club players Aisling OâKelly and Sarah OâLeary and their Dublin team-mates who were beaten by Kildare in the Leinster U14 final on Saturday. Itâs tough to lose a final, but no doubt both Aisling and Sarah will be part of Dublin teams in the future. Well done to Ava Egan who played for Dublin in the U14 All-Ireland Blitz last weekend in Portlaoise. Aimeeâs name has been added to the County Representatives page. 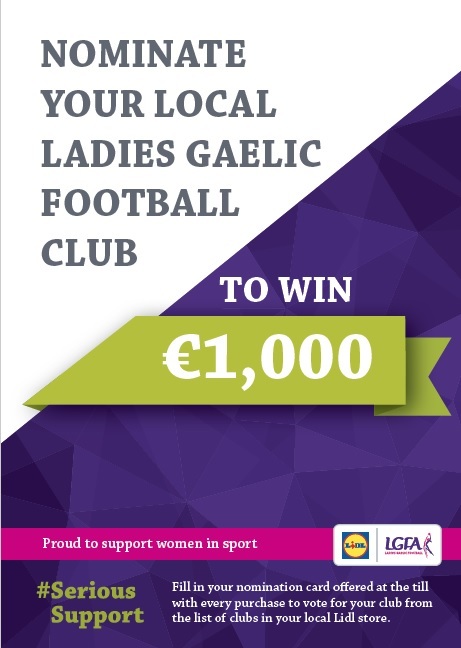 As part of their on-going investment in Ladies Gaelic Football, LIDL are now offering clubs the chance to win â¬1000. The competition will run from May 26th to July 10th and allows customers to vote for their local Ladies Gaelic Football Club. Using the nomination card offered at the till with every purchase (thatâs two for over â¬20 spent) customers can vote for their local club from the list of clubs on the in-store competition unit time. Members can vote for Foxrock Cabinteely in the LIDL stores in Deansgrange and Pottery Road. Topaz are offering sports clubs the chance to win cash prizes from â¬250 up to â¬10000. Thanks to Aisling Egan for registering the club for this. Youâll earn 1 Token for every â¬30/Â£20 you spend on fuel when you scan your Play or Park game tag at a participating Topaz station. You can earn a maximum of 3 Tokens per transaction. Step 2. Let Topaz know you are collecting for Foxrock Cabinteely! You can select the Club that you want to collect for online at www.playorpark.ie/cash-for-clubs/clubs or complete an in-store application form. Youâll need your Play or Park game tag number handy. Foxrock Cabinteely will be automatically entered into the draw if a total of 2,000 Tokens have been collected on our behalf by 7th August 2016. Best of luck to our senior team who start the defence of their Senior Championship title on Wednesday night against St. Brigidâs â the team they defeated in last yearâs final. Throw in is at 7:30 in Kilbogget and all club members are urged to come along and support the team. It was agreed at the LGFA Central Council Meeting on Tuesday 3rd May 2016 to adopt the GAA Concussion Guidelines with agreed amendments for female players. These guidelines have been forwarded to all mentors and they are also available from the Downloads page on our web site. FoxCab U11s have played numerous games so far in the season including: Ballyboden St. Endas, Templeogue Synge Street, Naomh Olaf, Kilmacud Crokes, Shankill, Castle Knock, St. Oliver Plunketts, Blessington, Clontarf and Interclub Blitz before Easter. 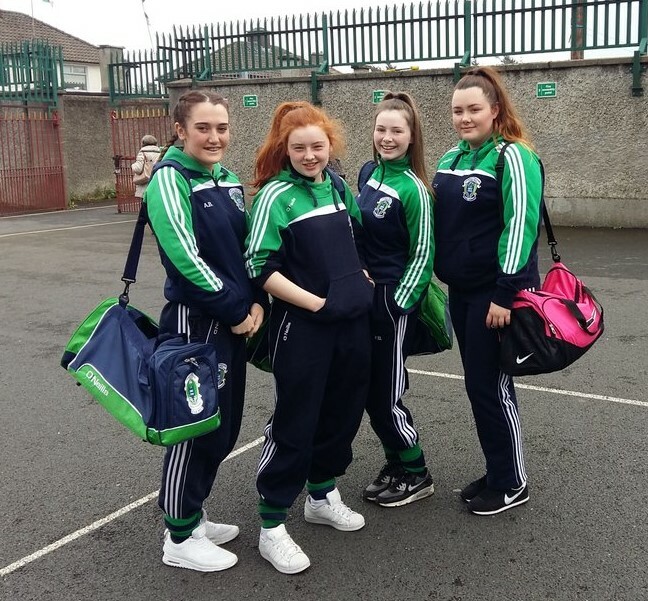 Well done to club players Emma Hughes, Faye OâConnell Bell, Ciara Fallon and Aoife Bell who were selected to do âBall Girlsâ during the National League Division 1 and 2 finals on Saturday night in Parnell Park. The girls next assignment will be this Wednesday night for the club senior championship! 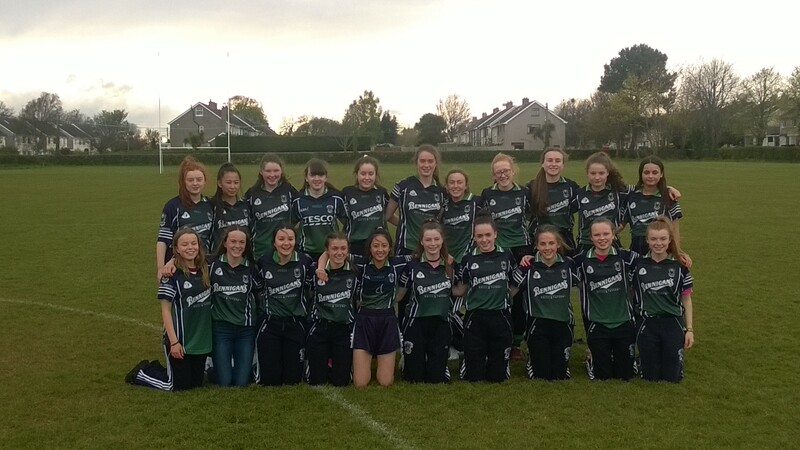 Congratulations to our U16 team who won the division 1 league this weekend. The team went unbeaten throughout the league having won 6 games and drawn 1. This is a very able group of girls whose talents arenât exclusive to the GAA field. The panel is comprised of girls who play inter-county football, basketball, volleyball, international soccer, schools soccer, inter-provincial hockey, schools hockey and golf to name just a few â oh, and 14 of them are also studying for their Junior Cert! Despite all of these extra commitments, the girls showed unbreakable dedication to the U16 team and the U16 division 1 league title was just reward for all their efforts. Thanks to all the parents who had to juggle all the commitments and ensure that the girls made training and games. Finally, thanks to team manager, Pat Ring and his backroom team of Keith Hughes, Tony OâGrady, Stephanie Duffy, Glyn Davies, John Gallagher, Ger Kirwan and John OâRourke for looking after the team. Leopardstown Racecourse are holding a Family Day on Sunday May 8th and are offering a discount to all Foxrock Cabinteely Members. Using the discount code BANKHOL16 on the Leopardstown Racecourse web site, members can purchase a ticket for â¬10 (normal price â¬15). Kids get free entry with adults who have purchased these tickets.